Who doesn’t love S’MORES? It reminds us of warm night and good company around a fire-place. You can’t ask for better than that! I found out This flavor while I was browsing on Facebook and I knew I had to try it. I got lucky the day I went because they were half price between 3 and 5 o’clock (leaving work early never tasted this good!). The first sip I took was very sweet and thick. The barista puts whip cream at the bottom and on the top of this drink (which doesn’t leave much place for the coffee). It took a while to sip the actual coffee. I think the whip cream was made with marshmallow because it was very think and it did taste like it. It is what was the closest to a S’MORES. I liked it because it was very sweet and then you get a hint of chocolate and coffee but the graham was missing. I only taste it at the top of the frappuccino when they sprinkle it on top of the whip cream. I think they should add some in the coffee blend. Personally I didn’t taste the S’MORES, but I did enjoy it and I can’t tell you otherwise because I finished it in 5 minutes. 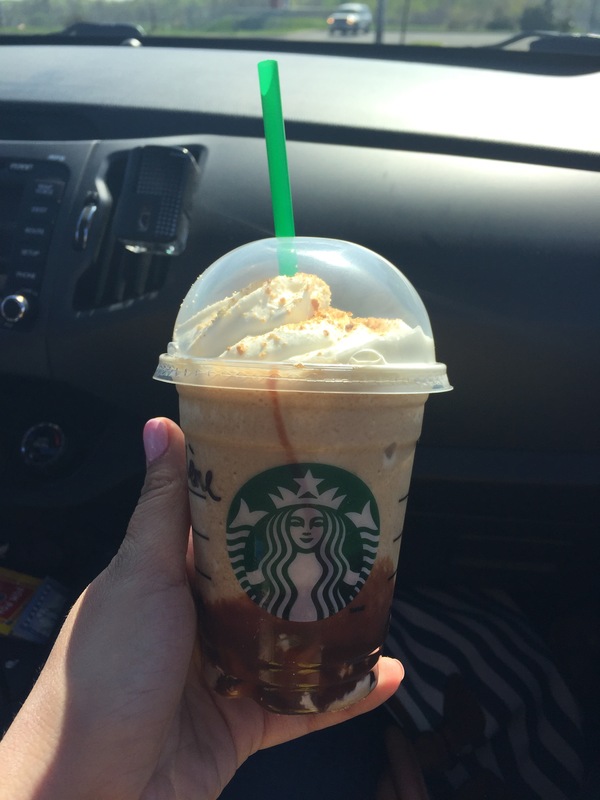 Guy input: This frappuccino was way too sweet because of the amount of whip cream. I do taste the S’MORES but I would not get this flavor again.